Today Mr. Justice Peter M. Willcock, of the British Columbia Court of Appeal, granted leave for the Canadian Council of Christian Charities (CCCC) to intervene in the case involving Trinity Western University (TWU) and the Law Society of British Columbia (LSBC). Barry W. Bussey, Director of Legal Affairs at CCCC represented CCCC at the Court of Appeal. TWU wanted to establish a law school but was denied accreditation by LSBC because of its Community Covenant which defines marriage as one man and one woman. The LSBC had originally approved the law school but because of political pressure from its membership it decided to hold a referendum on the issue and agreed to be bound by its results. The BC lawyers overwhelmingly voted against TWU’s law school proposal. TWU initiated a judicial review of the LSBC decision. 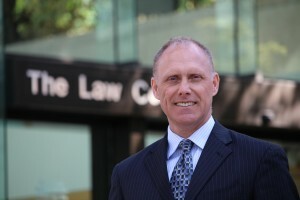 In December 2015 Chief Justice Hinkson, of the British Columbia Supreme Court, ruled that the Benchers of the Law Society had “improperly fettered their discretion and acted outside their authority in delegating to the LSBC’s members the question of whether TWU’s proposed faculty of law should be approved for the purposes of the admissions program.” Hinkson also found that Law Society made its decision without proper consideration and balancing of the Charter rights at issue. He ordered that the original decision to approve the law school stands. The Law Society appealed Chief Justice Hinkson’s decision to the British Columbia Court of Appeal. While CCCC was granted intervener status by Justice Hinkson in the lower court there was no guarantee that it would receive intervener status at the Court of Appeal. Intervener status allows bodies like CCCC to assist a court in making a determination in the case it has to adjudicate. In other words, the court has the benefit of understanding the wide implications their decisions will have by hearing from the interveners. 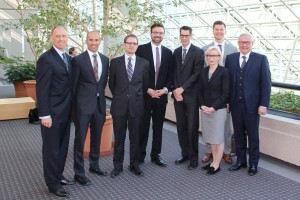 Lawyers representing the “pro- TWU” interveners at the BC Court of Appeal. March 30, 2016. 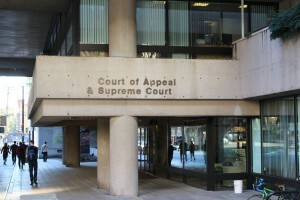 The hearing at the BC Court of Appeal will be held June 1-3. Meanwhile Bussey will be making arguments next week (April 6-8) in Halifax at the Nova Scotia Court of Appeal where CCCC has intervener status in the TWU Case there. The Nova Scotia Barristers’ Society has appealed the January 2015 decision of Justice Jamie S. Campbell, of the Nova Scotia Supreme Court, who ruled in favour of TWU. Good! This is the correct legal decision. The Canadian Council of Christian Charities represents more than 3,000 organizations and certainly deserves a voice as an intervener at the BC Court of Appeal. Why the Ontario Court of Appeal denied the CCCC application to intervene in this very important case, seems to me, a low blow to hijack justice. Equality must be the right of not just a select few, but for all in society. Thanks for posting! Hi Trudy. I would not characterize the Ontario Court of Appeal’s denial of CCCC’s application as you describe. First, it must be kept in mind that the role of an intervener is to assist the court in arriving at a determination of the case at hand. Interveners have no right to present at a court hearing. It is a privilege. Second, the court has the sole discretion to determine whether a proposed intervener will be of assistance. If the court is of the view that the intervener will simply be redundant because another party at the hearing will make the same arguments then the court may view it as a waste of time. The concerns of the intervener are still addressed just by someone else. The Ontario Court found that CCCC’s concerns would be redundant because, at the time, another intervener would make a similar argument. As it turned out that other intervener pulled out. That is not the Court’s fault – it is simply the circumstance. Albeit an ironic twist of fate.